Squash a bug, for SCIENCE. Then use our resources to find other citizen science projects. Members of New York’s “cockroach communities” all belong to this species, the American cockroach (Periplaneta americana). Look for these guys outside, near drains or sewers, or in basements. New York City’s three “cockroach communities” identified in the Nat Geo News article are the Upper West Side, the Upper East Side, and Roosevelt Island. The Upper West Side is generally identified as the area west of Central Park, extending between 59th Street and 125th Street. The Upper East Side is its twin, extending between 59th Street and 96th Street. Look at our MapMaker Interactive, zoomed in on New York City. Use the drawing tools and markers to identify the Upper West Side, the Upper East Side, and Franklin D. Roosevelt Island. The researchers studied three distinct cockroach communities in New York City: the Upper West Side, the Upper East Side, and Roosevelt Island. If the scientists wanted to stay in the same general area, where else do you think they might find unique cockroach communities? Look at the MapMaker Interactive for help! Central Park might be a different environment with more than one unique cockroach community. Cockroach communities near rivers (the Hudson River and the East River) may form isolated genetic communities. Each human neighborhood in Manhattan (just like the Upper West Side and Upper East Side) may support its own cockroach neighborhood. The National Cockroach Project is a citizen science project. 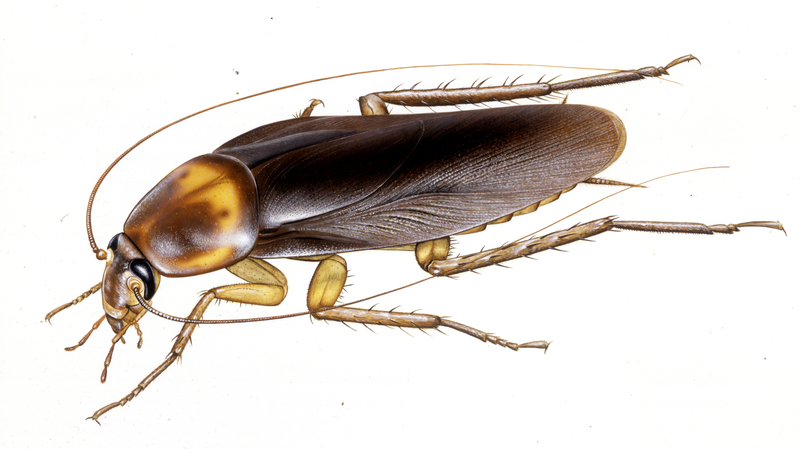 Researchers are encouraging high school students and other citizen scientists to help collect and analyze data on the American cockroach. Read more about the project here. 1. a dead American cockroach. Be sure it’s the big kind that looks like this! Yes, it can be squashed. 3. this short form, saying when and where you found it. National Science Foundation, come back, we miss you! Next Next post: Were the First Artists Mostly Women?